Tonight I changed the spark plug and wires on our 2002 Dodge Grand Caravan minivan. It has over 150,000 miles and it was definitely time. The only tool really required for this was a Ratchet, 4" extension, and a 5/8 spark plug socket. There are a couple of optional tools. I used my air compressor to blow the dust and car droppings out of the spark plug holes, but that's not really necessary. If you don't have an air compressor, canned air will do the job. I also used a $1.99 spark plug gap gauge to verify the gap on the new spark plugs. More on that further down in the post. 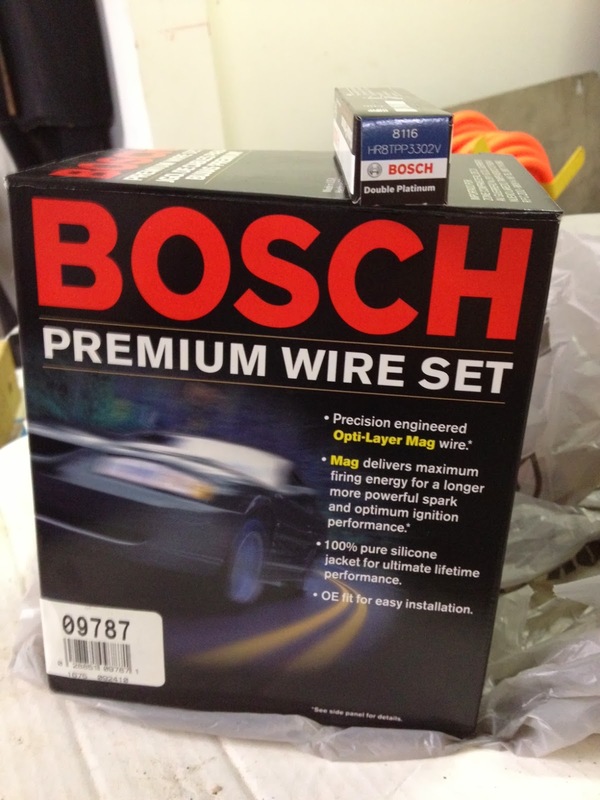 I got a set of wires and 6 double platinum plugs from AutoZone. I could have saved about $20 getting them from RockAuto, but I was bored and wanted to do this tonight. I also bought the little packs of anti-seize and spark plug boot lubricant. Changing Plugs and wires on this van is fairly straightforward. First, the OCD bits to make sure you got the right parts and make the job easy. 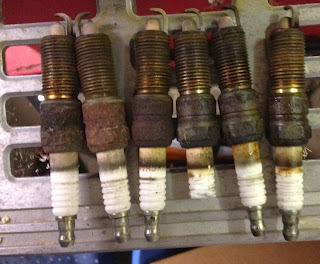 Lay out all of your new spark plug wires from smallest to largest. Next, lay out all of the new spark plugs. Using a gap gauge, verify the gap on all of them is the same. 5 of mine were perfect. One of them had was 0.020" over, and had to be adjusted. That is large enough that it would have made a performance difference. While your hands are still clean, apply a quarter-pea sized amount of anti-seize to the threads of each plug, and a similar amount of boot lubricant to the porcelain end of each new plug. Smear them in. Disconnect the negative battery cable and cover the battery so you don't set a tool down and short the terminals. 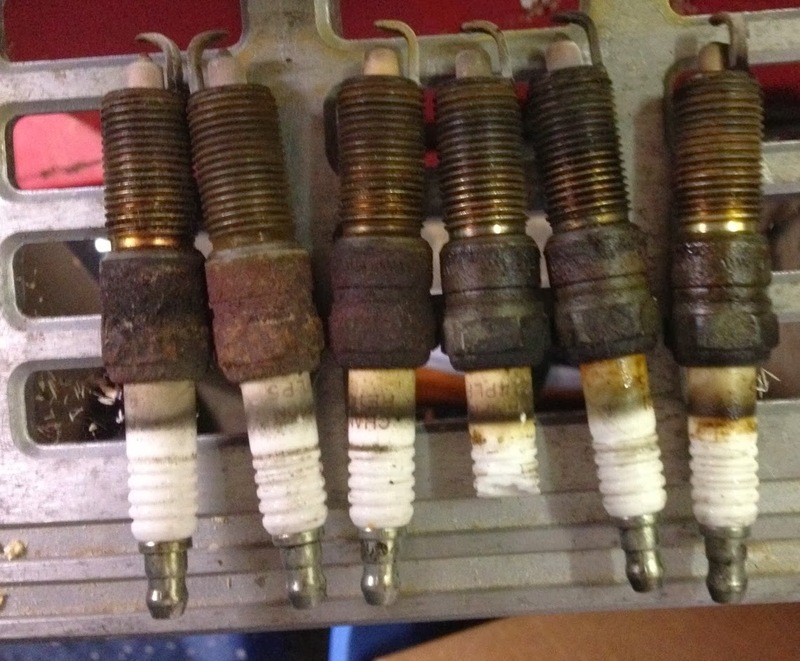 Blow out the area around the still-installed spark plugs so that muckety-muck doesn't go into your cylinders. One last check before digging in with both hands. I take off one easy-to-reach plug and verify that the new plugs are the same length from the base of the threaded part to the end of the terminal and that the threads are the same size. This has bitten me before, so I'm obsessive about it. Changing the rest of the plugs and wires are pretty easy. The front three are right out in the open. The back three you have to reach around to get too, but there is plenty of room to work. One Tip: I disconnected two vacuum hoses from the upper right hand side of the intake manifold so I'd have easier access to the back plugs. (Blue arrow) Be extra careful with the hard plastic vacuum lines. I managed to snap one in spite of myself. You can see it duct-taped together in the picture below (yellow arrow). I'll replace that tomorrow when I drive by the auto parts store. These hard lines are crazy brittle when it's cold and tonight it was 30F in the garage. I'm of the change-one-plug-at-a-time camp, so I remove and replace each plug and wire separately. This way I can't possibly screw up the firing order of the cylinders. If you lose track of the wires, or get them mixed up, here is how mine are connected. Here are my old plugs. The electrodes are severely worn. It was definitely time for replacement. Notice how the three on the right have a coating of shiny oil? It looks like that rear valve cover gasket is leaking a little. I'll add that to the list. Dodge has radically improved the access on this model vs. the 1995 one I worked on previously. On that nightmare you had to undo an engine mount and tilt the engine to reach the #1 cylinder. On this new one I could reach all of the plugs easily with both hands. Thanks Dodge! I removed the in-post ads. Geez, I never realized how annoying those were. Sorry guys. Quickie: Music won't play in iTunes on your new PC? It's an easy fix. Push Alt-F to make the menu bar appear. Right-Arrow over to "Store". Down Arrow to "Authorize this computer". Push Enter. Bang in your iTunes username and password. Click Authorize. Fixed! Insert obligatory grumble about DRM <here>. 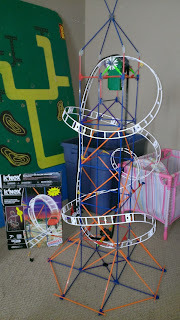 My daughter and I just finished assembling one of her Christmas presents. 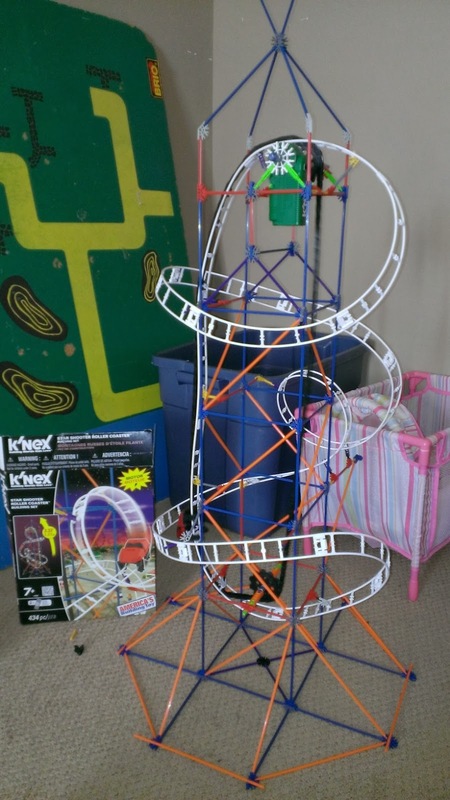 It's a K'nex roller coaster! And it works! Assembly time was about 2 hours. We had fun putting it together. If you have the parts to build it, add a chain tensioner. Just a little bit of extra force will help keep the chain on the track. 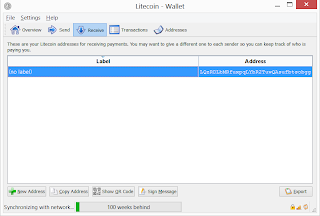 This post was supposed to be the finale to my LiteCoin mining series, but it really hasn't worked out. I wanted to make more money LiteCoin Mining, so I ordered 4 ATI R9 290's and a 1200 Watt Power supply. From eBay I got a 1-to-4 PCI Express 1x port multiplier, and four 1x to 16x PCI Express adapters. I spent about a week troubleshooting it and determined that the PCI Express Port multiplier was defective. I was able to resell two of the R9s locally for what I had in them. The other two are mining away in my upstairs PC. It's really convenient up there because I turned the AC off and they are keeping the bonus room warm. I'd have to pay to heat that space anyway so it's a win. 1. My Gigabyte motherboard does not care for the 1x to 16x adapters. The adapters are fine in my old eMachine. 2. Connecting Pin A1 to B17 on a 1x to 16x adapter will make some motherboards recognize it. But not mine. 3. From the factory, ATI R9 290 video cards are limited at a maximum fan speed of 47%. When the card gets hot it just slows down. 3a. You can get MASSIVE performance increases off these cards using MSI Afterburner and defining a new Fan speed Curve. 4. Setting any GPU tuning options in cgminer for the R9 290 causes the box to Blue Screen when you exit cgminer. 4a. This includes setting the fan speed, memory or engine clock, powertuning, etc. 4b. This does not happen if you do the GPU tuning in MSI afterburner. 4c. Windows 7 did not auto-reboot after the blue screen, Windows 8 does. 5. There are GPU tuning suggestions in the Scrypt Readme file included with CGminer. They work. 6. CGminer throws an out-of error message when you try to mine using the defaults in cgminer. Tuning the thread concurrency fixes this. 6a. The actual error is that it tries to use too much ram when compiling the OpenCL code for the GPU. The solution for this is not more Ram. I moved one of my old AMD Radeon HD 6790s into our living room PC. It's given that PC a new life. As I write this, my daughter is playing minecraft on it. Fantastic! From a Mining perspective, I've put a scheduled task on it to mine from Midnight until 6 a.m. It's enough to cover the electricity cost of the machine. Since I started this project the price of Bitcoins and Litecoins has dropped in half. I've seen this before, and I would urge everyone interested to buy into this lull. They will come back, I'm sure of it. I've read every Tom Clancy book, even the non-fiction ones and the not-so-great Net Force books. His books were my constant companion during adolescence, and I've followed them as an adult too. I just finished his last (final) book, Command Authority. This is the best Clancy I've read in a long time. He was a fantastic storyteller and I will miss him. I regret that I will never have a chance to meet him. In the book, the Campus is on stand-down after the Chinese security breach. A secret organization inside the Russian government has taken over in a silent coup. The new leaders are trying to rebuild the old Soviet Union, and are poised to start a new cold war. Full disclosure, that is an Amazon Affiliate link to the book. I'm recommending it because it was fantastic, not because of the infinitesimal Amazon commission. My daughter loves Minecraft. She came to me last week complaining that the computer she plays on kept turning off. Time to fix it. I knew right away what the problem was from the death rattle in the case. The CPU fan was dying. Easy fix. I went to Best Buy and bought Antec 80mm fan. Installed it and Viola. Fixed? The box still kept shutting down. Odd. I have been meaning to install another video card in it, so I swapped in a new (old) video card and a new (old) 500 watt power supply. Fixed? Time to do this the proper way, actually diagnosing the problem instead of just throwing parts at it. I downloaded and installed HWInfo from http://www.hwinfo.com/. This app told me the power supply rails were fine, but that the CPU was running really hot. Really HOT! it was at 70C just running Windows. Bad times. Before I tried anything else I wanted to be sure that overheating was the problem. I installed the demo of BurnInTest from http://www.passmark.com/products/bit.htm. Running the CPU test the temperature quickly climbed 78..79... 80... and powered off. So that's definitely the problem. The PC is shutting down to keep from cooking the CPU. I had a shiny new blue-LED for-extra-coolness Antec Fan on it, why is it overheating? ... Because I neglected one important step. When I pulled the heatsink to replace the fan I neglected to replace the heatsink grease. Crap. I headed back to Best Buy for some thermal grease. Back home, I cleaned off the old crud on both the chip and heatsink with Q-tips and Rubbing Alcohol. I then put on a thin layer of new thermal grease and screwed the heatsink back on. Firing the machine back up, It stays at 55C when running a CPU burn-in test now with the fan control set on the lowest (quietest) speed. Fantastic. I did a quick experiment to see if pulling air through the heatsink or pushing air through the heatsink would result in cooler temperatures. Pushing air through the heatsink was the winner by 2 degrees. Lesson Learned: If you pull a CPU heatsink, replace the thermal grease. It can easily make a 25C+ difference. I bought a car at the Auto Auction on Thursday. It's a 1999 Audi A8. It's a lot of car, but it spoke to me and I had to have it. Unfortunately it has a few issues. I've got a number of trouble codes that point to a vacuum leak. I pulled off the engine covers and started poking around. 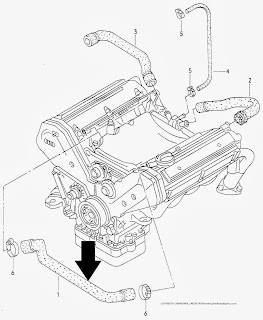 I found that the crankcase breather hose between the cylinder heads has taken on the consistency and structural integrity of an overcooked spaghetti noodle. The Audi Part number is [URL="http://www.jimellisaudiparts.com/products/Vent-hose/5441626/077103221E.html"]077-103-221-E[/URL]. The local dealer price is $180.00 and has to be shipped in. Even worse, it's the weekend before Christmas, so the correct replacement part is at least 7 days away. I'd like to fix it before then. 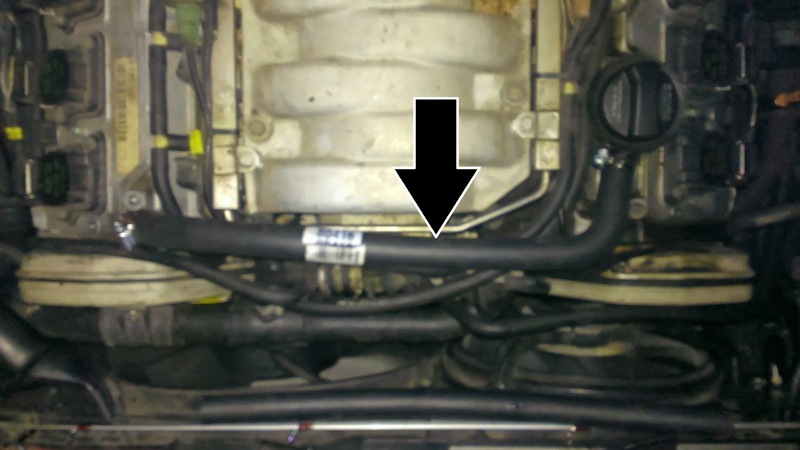 I've discovered that Auto-Zone Heater Hose Part number 80416 "Dayco/Hose (Lower)" can be trimmed to an acceptable fit for replacement. It costs $10.99. I was originally concerned that the hose would collapse under vacuum, but in initial testing that has not been an issue. If it becomes a problem I will insert a length of 1/2" ID Convoluted Tubing (the stuff you use to organize wires into neat bundles) in the long section. Remove the engine covers over the valve covers with 4 5mm cap head allen screws. Remove the 4 cap head allen screws for the center engine cover. 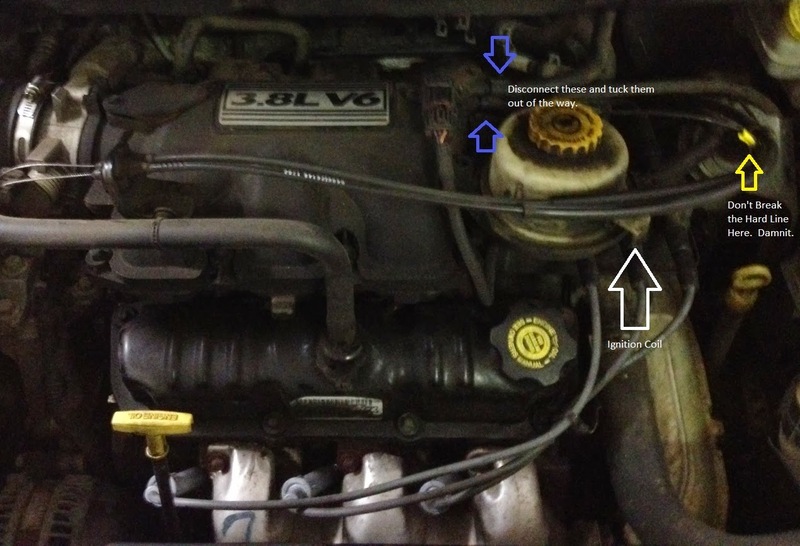 Remove the two worm clamps, one near the oil filler cap, one on the passenger cylinder head. Pull the hose off. If it's rotted like mine it will come off in pieces. Trim ~2 inches off the short end of the AutoZone part. Test fit it on the oil filler cap end. 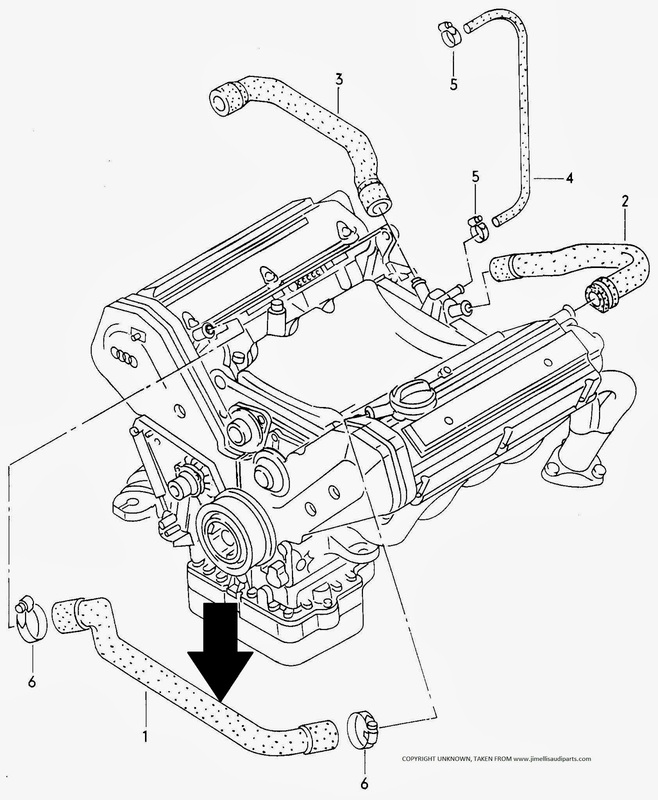 Test and Trim the appropriate length from the passenger cylinder head end of the hose. Install the hose with new worm clamps Note: These are a -tight- fit. I could not use the OE clamps and had to use flat clamps from AutoZone. I had to push them into place with a screwdriver. Tighten up the hose clamps. Here is a terrible picture of the completed installation. I was trying to pull some training videos off of our corporate Sharepoint site today and kept getting "Download Interrupted" errors. That's annoying. I popped open Wireshark and found thousands of TCP ACK retransmits. There were no ICMP messages indicating connection trouble, so it was rather odd. I found a solution on the Office365 Community forums; disable TCP Window Autotuning. A client called today with a question about configuring AD Group Policies for Internet Explorer 10. He couldn't find the options to configure Group Policy for IE 10. I can help! There are a few ways to solve through this. Group Policies can configure to force settings to a client with IE 10's GPO Administrative Templates. Group Policy Preferences can configure settings for a client but give them the option to overwrite the GPO settings. Finally there a non-GPO solution is built into the Internet Explorer Administration Kit. An IEAK IE package can be configured to pull settings for a client from a remote server. The customer specifically wanted to use GPOs, so this option was not considered. IE 10 Group Policy with Administrative Templates can be configured from any modern Windows workstation or server. If you have a Windows 2003 or XP management station on a Windows 2003 AD Domain, you will need to download the old-style .ADM templates from Microsoft at http://www.microsoft.com/en-gb/download/details.aspx?id=37009. It's different if you use the new-style GPO Management templates with .ADMX files. (And you should!) If you have IE 10 installed on your management station, then you already have the administrative template on your PC. If you don't have IE 10, then you can get template from this download instead http://www.microsoft.com/en-us/download/details.aspx?id=36991. This is a big package of .admx files; the one you need is inetres.admx and the corresponding inetres.adml language files. Installing the .adm files on these older machines is easy. Open up your Group Policy in the editor. Navigate to Administrative Templates (Computer or User Configuration / Administrative Templates). Right-click Administrative Templates and Click Add/Remove Templates. Easy. Installing the .admx templates is slightly more complicated. The installation process consists of copying the template and language files to the PolicyDefinition folder. 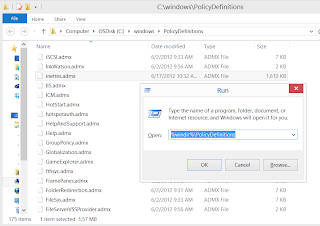 The tricky bit is that the PolicyDefinition folder can be in one of two places. 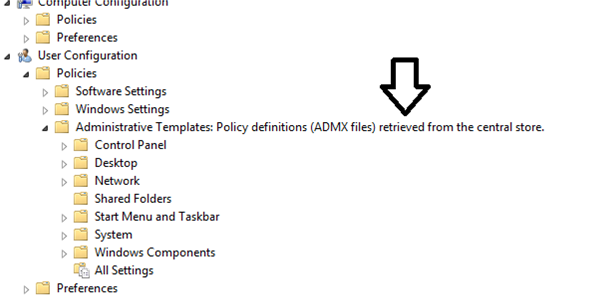 The default location is to store the .admx files on your local PC in the %windir%\Policydefinitions folder. 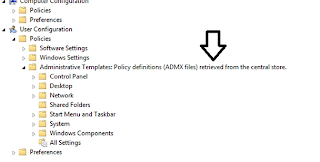 However, if you have enabled a Central Store for Group Policies templates, then the local store is ignored and you have to place the .admx in the central store. The central store is located on the domain's SYSVOL share at \\yourdomain.com\SYSVOL\yourdomain.com\policies\PolicyDefinitions. So how do you tell if your domain has a central store? There are two ways. 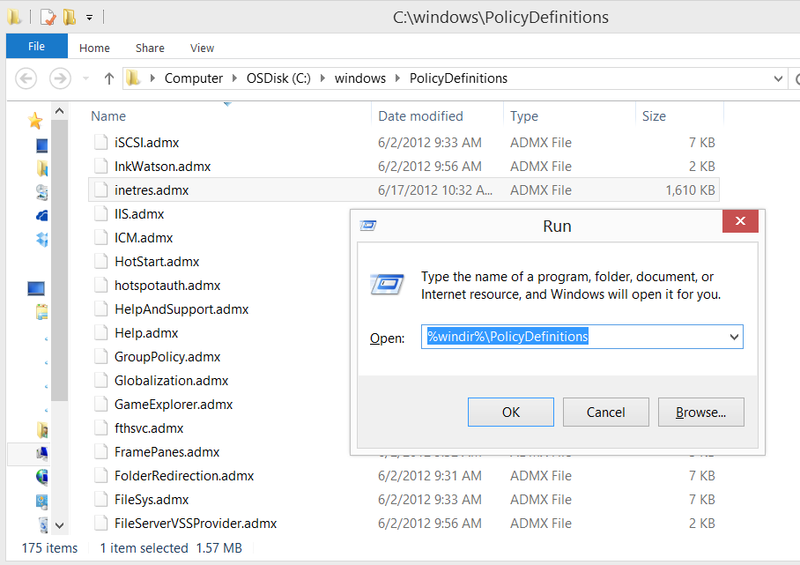 The easiest is to try to open \\yourdomain.com\SYSVOL\yourdomain.com\policies\PolicyDefinitions. If it's there then you have a Central Store. Alternately, the Group Policy Editor will tell you if you are using the Central Store. IE 10 Group Policy Preferences are only visible in the Group Policy Editor on Windows 8, Windows 8.1, and Windows Server 2012. The policies still apply to IE 10 on earlier operating systems, they just can't be managed there. I wasn't able to find an official Microsoft document that states this, but you can see the experimental results below. I am morbidly obese. As of 31 November 2013 I have a calculated BMI of 45.2. I weigh 352.8 pounds. I have a fat apron that is approximately 4 inches thick at the largest point. That's unhealthy, and it's effecting my lifestyle. Remarkably I do not suffer diabetes or joint problems. The only health issue that I can straight-line cause/effect to my obesity is frequent GERD. I also get winded easily from going up stairs. The latter is expected, and I'm effectively carrying another person around with me. I previously lost a large amount of weight (62 pounds) using the Slim-Fast plan. The weight melted off and I loved the results. The best part was when I got to play with my kids at the Y, and they asked me to slow down because they were tired. Unfortunately I gained the weight back afterwards when I started eating real food again. From this I learned that whatever diet I choose must have a significant focus on re-learning how to eat at the end. More specifically, I must be retrained Mentally and Physically to reduce portion sizes. Additionally, I've discovered that I significantly overeat as a response to stress or boredom. The plan must include development of a new coping mechanism. I need flexibility in my plan as I travel semi-regularly for work and I don't want to fall off the wagon. I need daily measurable results, as I will forget about my diet without it. I must include some form of exercise in the plan. I've never exercised regularly and this is much to my detriment. The best case scenario is that I retain all of my existing muscle post-diet. I will likely require some form of plastic surgery post-loss to remove skin and adipose tissue. I will have to buy new clothes repeatedly. Planning to lose half your body weight is hard. In this post I configure LiteCoin mining with my two ATI Radeon Powercolor HD 6790s. First you need a current video driver from ATI. I had a 2 year old driver that would blue screen in the mining software. So off to ATI's driver page to download and install the newest driver. I chose to install the WHQL driver instead of the beta driver. It's personal preference. The difference is that the WHQL driver has passed some level of third party testing, while the beta is just vendor-code. Previously, you would need to download the "AMD Stream SDK" separately to enable the non-gaming functions on your video cards. This is no longer required as the OpenCL components are now rolled in with the driver. Then you need the mining software. I use cgminer. You can download cgminer from the author's site http://ck.kolivas.org/apps/cgminer/. But wait! Cgminer was originally developed as bitcoin mining software. 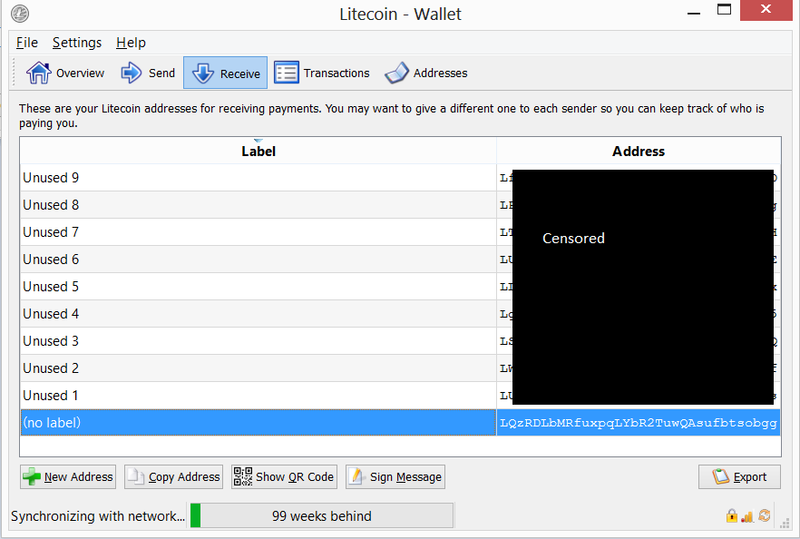 The author added Litecoin support, and then removed it in the most recent versions. If you try to run the current version of cgminer for litecoins it will give you the error "Unknown option --scrypt" To get a version that actually works, I had to go back in the archives and pull out cgminer 3.7.2. That download is at http://ck.kolivas.org/apps/cgminer/3.7/cgminer-3.7.2-windows.zip. Now you need to decide which mining pool you are going to mine on. I use Ozcoin as my primary litecoin pool. You can sign up at https://lc.ozcoin.net. Once Cgminer starts, you'll see your pool statistics at the top of the page. The first time you launch cgminer, you'll immediately notice that your hash rate is abysmal. This is because the default "intensity" is very low. You can increase the workload on your card(s) by changing this value. To change the intensity, press "G" for gpu settings, and "I" for Intensity. I've found that one of my Cards works fine with an intensity of 15. The other card gets really hot and throttles at that intensity. It works much better at 11. This gives me a combined hash rate of 350kh/s. The one underperforming card probably needs to be cleaned. It's been a while. Now we want to save these settings in a config file so they'll auto-load when you run cgminer. To do this, press enter a couple of times to get back to the cgminer main menu. Then press "S" to open the settings menu. Next press "W" to write the file. Accept the default filename and press enter a couple of times to get back to the main menu. Cgminer has a bunch of other features including automatically scaling the GPU and fan speeds, changing memory clocks, and voltage tuning. I've played with several of these, and can confirm that there are some performance gains to be had. For my good card, i.e. the one not full of dust bunnies, I get the best performance by setting the voltage to 1.1 volts (Default is 1.19), Fan to 95%, and GPU to 950Mhz. The powertune options do not work for my cards. Now that cgminer has a valid config file, you can set it to automatically start when you log in to your PC. To do this, Right-mouse-button drag Cgminer out to your desktop. When you release the mouse button select the option to "Create Shortcut Here". Now Left-mouse-button-drag that shortcut into the start button, then all Programs, then startup. That's it. The relatively low hash rate from these won't make me rich by any means, but it's something. Since I originally started writing this, I've received several shiny new Sapphire Radeon R9 290 video cards! Once I get those working (the one I have installed right now throws a BSOD if you blink improperly in its presence), I'll post about the process. That will be Part 4: Scaling up Litecoin Mining. Ty has a minivan. Earlier this year the turn signal failed. It literally fell apart. That was an easy (5 screws, 2 connectors) fix, but the turn signal would not auto-cancel when you turned. 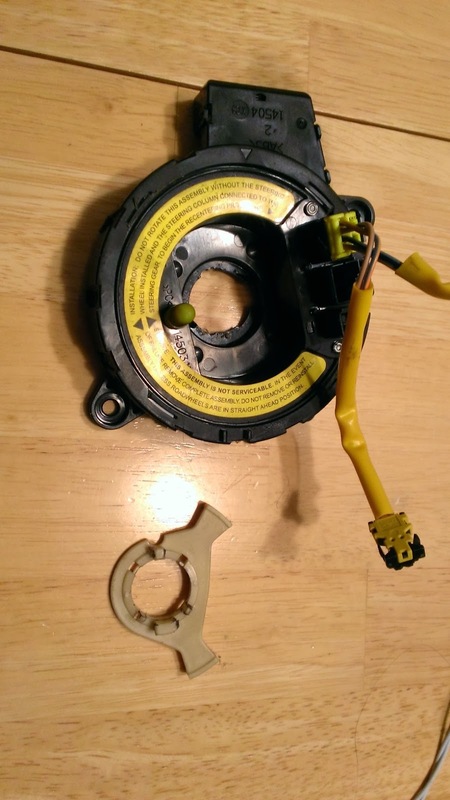 I did some digging online and the turn signal cancel cam on this model is attached to the back side of the airbag clockspring. I thought mine was probably broken. I was right. Here is the busted part. That little brown thing with the horns is supposed to be permanently attached to the black thing. It's not. This is actually my second one of these to replace. The first one was in an older Grand Caravan. It had failed internally and made the airbag warning light come on. The first part I got from the dealer for just under a hundred bucks. The second one I ordered from RockAuto for half the price. 10mm Ratchet and Socket - For removing the Battery Negative cable and the airbag. 13/16 Deep Socket and Ratchet - For removing the big nut that holds the steering wheel on. 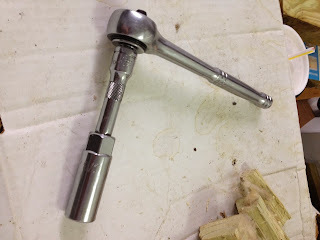 Steering Wheel Puller - Loan-a-Tool from O'Reilly Auto Parts, P/n 67011. This is free to rent, but requires a $60 deposit. #2 Phillips screwdriver with a 5" long blade - For removing the steering column cover. A removable-bit screwdriver would not work for me on this, as there wasn't enough clearance around the screw. Small flat bladed screwdriver - For releasing the small electrical connector. This chap's video on YouTube gets it 99% right. My model is several years newer, so there are some differences. First, you have to point the wheels straight ahead before disassembly. This is important. Second, my airbag connectors had little tabs on the side that had to be squeezed to remove them. Third, I had a third small electrical connector on the clockspring that could not be released by hand. I had to use a small screwdriver to push down the locking tab before it would pop off. Next, my clockspring was held in place by two Phillips head screws instead of plastic pins. Finally, my new part had a locking tab that kept it from rotating during installation. I left this in place until the steering wheel was in place This insures that the clockspring won't over-travel and fail. Once the wheel was on the locking tab pulled right off. In this part of my LiteCoin series, I talk about the different options for LiteCoin mining hardware. Note: LiteCoin difficulty changes over time, so the numbers in this post will probably be grossly inaccurate by the time you read this. One of the things that makes LiteCoin different from Bitcoin is that it uses a different type of Cryptography. Bitcoin uses SHA hases. 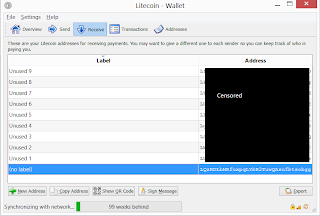 Litecoin uses Scrypt. Bitcoin's algorithm can be readily adapted to run on special purpose Chips called ASICs. This locks bitcoin hardware into only performing a single function. If Bitcoin evaporated tomorrow, all of those ASICs would be worthless. Litecoin's Algorithm works differently and is difficult to adapt to ASICs. This means that Litecoin mining is within the reach of every PC, not just the people who can drop a couple of thousand dollars on ASICs. The speed of a Litecoin Miner is measured in Hashes per second. It is possible to mine on most PCs using just the CPU. Using data from the LiteCoin Mining Hardware Comparison page I can see that the hash rates for CPU mining varies from 0.8 to 130 KH/s. Taking that data and plugging into the LiteCoin Mining Calculator shows that CPU Mining will yield between 0.14 LTC / Year and 0.07 LTC / Day depending on the specific CPU. Since most people don't have a 32 Core Xeon processor in their home PC, it's a safe assumption that you'll mine less than 0.01 LTC per day. Today's LTC price is around $30, so that's $0.30 per day. Nice. If you want to pursue CPU LTC mining, the application you need is called pooler/cpuminer. It is available from SourceForge. I don't want to do CPU Mining. I want to make lots of LTC, not a paltry 0.01 per day. I have a couple of ATI Radeon HD 6750 (correction, 6790's) video cards that I used for Bitcoin mining. They are capable of mining at up to 200 KH/s each. That's more like it. On the same LiteCoin Mining Hardware Comparison page you can see a comparison of many different video cards that are usable for mining. Most of the very high performance cards are sold out from vendors, and fairly pricy on eBay. YMMV. With the current boom in LTC prices, it may make sense to spend a little money to get a bigger return. I'm doing that. In addition to the two 6790's, I've ordered a number of additional cards. I'll post more about those in a future post on Scaling Up Litecoin mining. For now we'll get these two 6750's making some coins! That's the topic of my next post in this series. I worked on an interesting problem this morning. A client was using Informatica's Active Directory connector product to read data from AD into their ETL system. This worked great. They wanted to start using this to write data back into AD, but they were receiving a schema error whenever they tried to do so. We checked to make sure the service account had permissions to update the attributes. We checked to make sure the data matched the datatypes of the attributes in AD. And then we checked the LDAP connector. That's where the problem was. The Informatica AD connector was configured to connect via the Global Catalog LDAP Port 3268. The Global Catalog is a read-only copy of the most commonly used AD attributes. FIX: We changed the LDAP connector to use port 389 instead. That fixed the problem. Another problem immediately popped up, but it was an easy one. The transform was configured to update the CN in addition to the phone number with the DN as the primary key. Since the CN is part of the DN, Informatica threw a cannot update RDN error. The solution for this one was to remove the CN as part of the update set. * Security warning: Port 389 traffic is not encrypted, and unless you use Kerberos authentication you are broadcasting your service account's password in clear text. I talked the client through this risk.